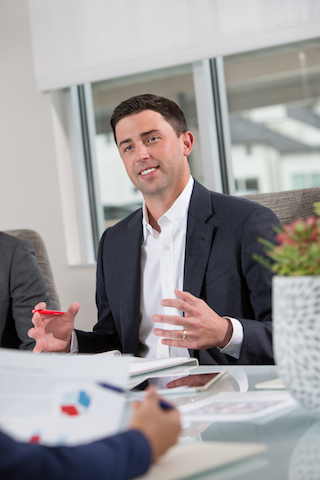 Now entering his eleventh year with Hancock Firm, Shea Hancock has earned leadership roles in diverse disciplines including estate and gift evaluations, business exit planning, litigation support involving divorce, lost profits and economic damages. His contributions prove invaluable in buyers representation, as well as sellers representation when the sale of a business is at hand. Shea originates and closes, in his service capacity for our private business owners, a number of business acquisitions and sales. Shea’s largest transaction is in excess of $100 million. He has spoken at TSCPA conferences on a variety of valuation topics and also serves on the Board of Directors for a private oil and gas service company with operations in Oklahoma. Shea honed his leadership as a four-year letterman and Doug Drabek Scholarship Endowment recipient on the baseball team at his alma mater, The University of Houston. Shea currently resides in Houston, TX with his wife, Elizabeth, and his three children. He enjoys coaching both soccer and baseball, and playing tennis.